GREAT Satin Pillowcase for my hair!! I do love this pillow case. Most satin pillow cases do not come with a zipper and before the night is over the pillow is out of the case. Does wonders for your hair. I have them on all my pillows and plan on ordering more to replace the old ones. It is so nice to have your hair not all messed up in the morning. Love the satin feel. Easy to wash. Good quality. This is the best pillow case to own. I didn't have one at our home in Arizona. I would wake up with my hair(my hair is short) going every which way. Looked like I had slept in a tornado. Love it Love it. I WAS LOOKING FOR SATIN PILLOW CASES TO KEEP MY HAIRSTYLE WHILE SLEEPING. sO FAR, IT'S WORKING FOR ME. I sleep geat and my pillow doesn't flatten my hair. Sleep on a heavenly pillow. I love the feeling of the satin pillow cover. I sleep soundly like I was in heaven. Easy to care for and easy to use. Used as a pillow protector. Easy to put a pillow case over the pillow with this product. 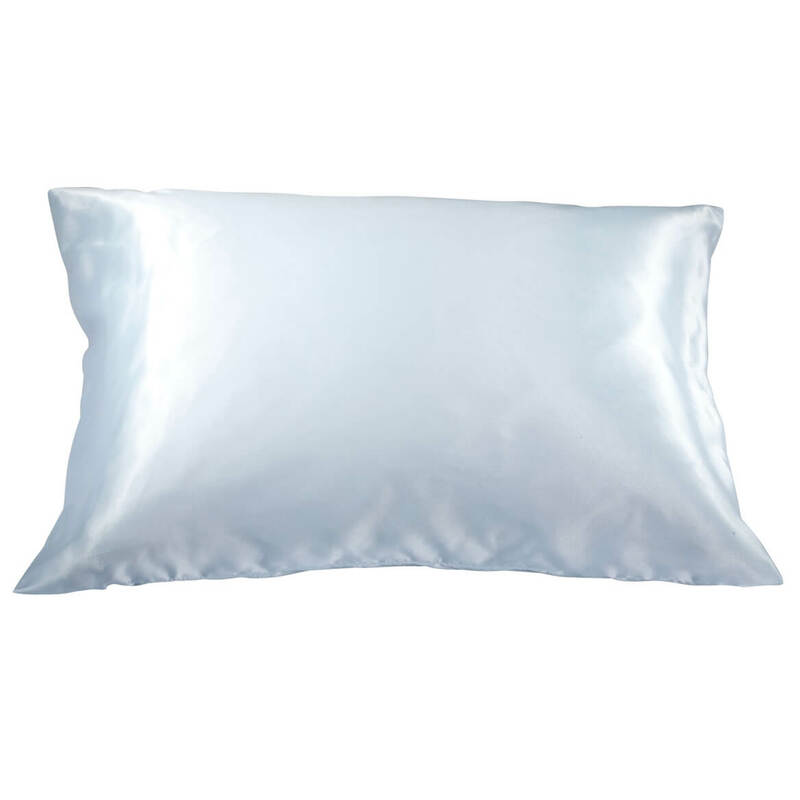 Satin pillowcases are great for keeping your hair from sticking out all over after sleeping. These were a good size and fit standard pillows perfectly. Perfect stocking stuffer for Mom. She loved and said it helps her sleep better. Satin Pillowcase is generous size. Easy to put pillow in. I bought this pillow cover to help keep my hair from pulling and keep the shape while I sleep. It works very well. I get up in the AM!!! This is the ONLY pillowcase I sleep on now!!! I got tired for my hair looking like a rat's nest every morning, until I used the satin pillowcase! Now my hairdo stays looking decent all week. I have long hair and this case allows my hair to move freely and not cling to the pillow. The zippered closure keeps the case on the pillow and is hidden so it doesn't protrude and interrupt your sleep. The cases also do not shrink when laundered. Bought this for my daughter in pink since she loved my Satin pillowcase so much. I like this one better than mine so I bought one too. I LOVE the hidden zipper, definitely helps the pillow stay put. Fabric is so soft and silky. Better than my more expensive version. Highly recommend. DO NOT like Miles Kimball "fee" they charge upon purchase, bad business tactic! 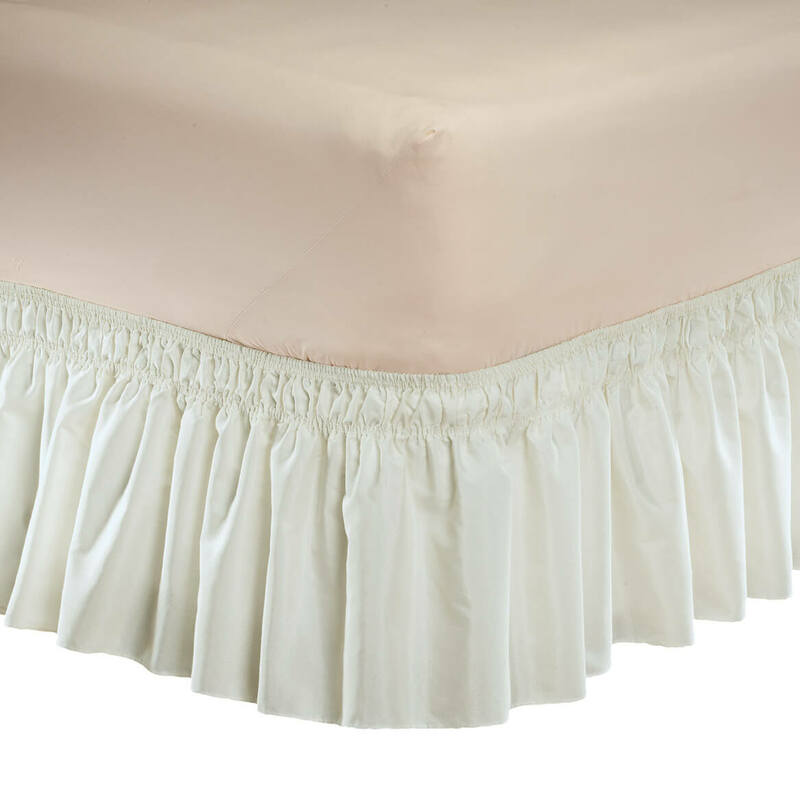 I have used these satin pillow slips for years! I bought these pillow cases to help reduce the wear on the back of my head. My hair has started to thin and regular cotton or polyester pillowcases was causing damage. I bought one of these cases and I'm so impressed with the difference it made to my hair that I bought 6 more. I couldn't be happier with my purchase. When I have my hair done professionally, the pillowcase holds the set longer. The pillowcases are of top quality and we enjoy them. I ordered the queen size case and it fits my queen size pillow perfectly. The light blue is exactly what I was looking for. The fabric is very silky and nice quality. The hidden zipper works well. I slept on my new pillow case for the first time last night and loved it. The colors offered will make using this pillow case great for travel so you don't accidentally leave your pillow at the hotel. I accidentally left my expensive pillow at a hotel because my plain white cotton pillow case looked just like the linens on the hotel bed and I forgot to take my pillow when I left. This product was on backorder for a month. I almost ordered from another company but glad I waited and glad I ordered two pillow cases. This pillowcase is very soft and silky. It is machine wash and dry and comes out beautifully. No ironing needed and still soft and silky. The queen size is great for a standard pillow. No cramming and jamming to get the pillow in the case. 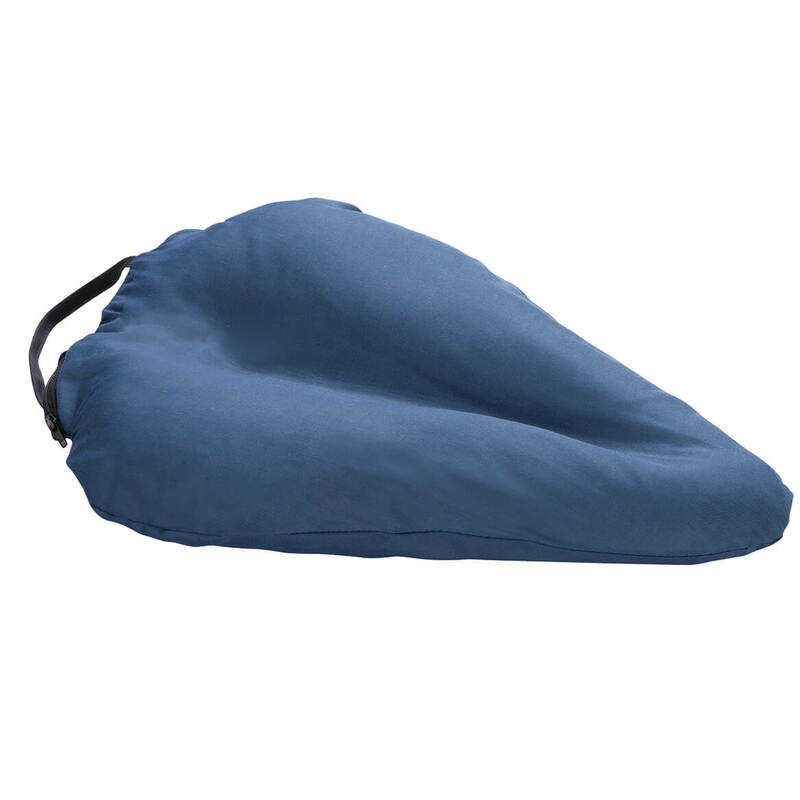 The zippered end is great for keeping the pillow inside. I love the luxurious feel and the coolness against my face while I sleep. I had been looking for something that would be softer against skin and hair overnight and fit standard pillow well without loose folds everywhere. I got 2 standard size ivory. It does all that nicely! Very pleased! Little girls like it, too! My great granddaughter napped on my bed. Pulling down the coverlet, she found my pillow and my satin pillowcase. She liked it so well she wants one! Glad to oblige. I have bought these pillow cases from Miles Kinball for years. I am 71 years with no wrinkles. I give a lot of credit for that to this fantastic pillow case. It also helps me to have a better night's sleep. Cost is great too! I REALLY LOVE this pillowcase. This pillowcase is GREAT. I wasted $40.00 on the chillow pillow for my hot flashes and this works soooo much better! Also keeps my hair in place better. I have been using product for years. third time I've purchased this item! I need to elevate my feet during the day - so I use my pillow and pillowcase during the day as well as at night. Decause it is 100% acetate satin, my hair is still in place after resting. Another advantage is that it requires no ironing. I thnik the shade of light blue is very soothing and looks well in my bedroom. I Have three of these pillows on my bed. I bought these for every member of my household and everyone is in love with these. I put a pillowcase as a sham over my satin one to use to decorate my bed during the day. The pillowcase slips over the satin with such ease I'm going to use one as a pillow protector on my guest bed. I keep ordering them as I find other uses for them. I bought one each for my female family members last Christmas. They all love them. The satin zipper closed pillow cases are our favorites. They are silky on the face and cause little or no "sleep hair" messes in the morning. There is no need to iron these. They come out of the dryer smooth and shiny. A good value! Helps keep my hairdo from that "bedhead" look that sometimes happens when you wake up. Good on my hairdo. Cool feel against cheeks. Please note that the queen size fits a standard pillow. These are excellent quality pillow cases. It was nice to see they have zippered closures. They fit the pillows perfectly without struggle. I use several of these and they can be a bit slippery against each other while sleeping, but you get used to that. Shopped Miles Kimball over 50 years. How can you sleep without this? If I don't sleep on a satin pillowcase, my hair is every direction in the morning. The satin case does not let your hair get out of control during the night. It slides your hair as you turn. Once you use one, you will never be without. I get the colored ones so I can take it along to hotels. I will see the pink and know I forgot something. I have one hanging on the bed in the guest room. You have to get these. You will love the way it keeps your hair in tact! I refuse to sleep without a satin pillowcase. I take one along wherever we go. I sleep much better since I purchased these case. This is my second one. I orded a colored one to take on travels with me. That way the color stands out and I'm not likely to leave it at the hotel. Beautiful in a bedroom that I redid for my mother in law when she visits. I have used satin pillow oases since the 1960's when hairdos came out with backcombing. I am 73. These cases, satin, really really work. The only thing with the last 6 or 8 of these I bought is the quality is nothing compared to the ones they offered for so many years before. Is very flimsy and thinner stuff. I have been using my old ones, still am, for many years. Different place is making them now for MK. Love it! Love the zipper! Keeps the pillow from slipping out, and you don't see it! Love the feel. Better than a more expensive one I already had. Love that I don't wake up with crazy hair. Love that I don't wake up with wrinkles on my face from my pillow. I do think it helps my sensitive skin. I think that a regular cotton sheet takes the oil from my hair and skin and makes me break out. This pillow doesn't do that! Highly recommend! DON'T like Miles Kimball's fee they tack on to your purchase! Bad business!!! This is a very comfortable pillow case plus it keeps my hair from getting so messed up--I love it! I've been buying these satin pillow cases for years from Miles Kimball. I've purchased other satin cases from other stores, including [...]. None of the others compares in quality, durability, and price. If you watch for the sale, it's a great buy. I change my pillocase each day, so these get washed daily. They hold up well with the frequent washing and stay satiny. Not just for adults... I bought this for my son who is 5. He loves the silky part of his blankies and this pillowcase is EXCELLENT. High quality, super soft and silky. He loves it! I have purchased these pillowcases from Miles Kimball for years. They are great for keeping your hair style in place. Very cool in the summer. I have several of these now so I use a satin pillow case every night. The are so comfortable. Love my blue satin pillowcase! I bought a less expensive satin pillowcase from a different catalogue. It was a mistake. . .the pink became shoddy looking with threads pulled and one whole side frayed from resting at the head of the bed. The blue pillowcase kept it's shape and satiny newness. There is just no comparison. After going to the beauty parlor I sleep on my satin pillow case and my hair is as good as new the next day. I have no complaints about this item at all. have used these pillow cases for years, keeps wrinkles off of face and keeps hair from becoming bad hair day! I GO BECAUSE IT KEEPS MY HAIR PERFECT ALL NIGHT!! I love these. I bought 3 for Christmas presents; one for me, one for my mom and one for my daughter. Mom wanted a special pillowcase to protect her hair style and have it last longer , when she has it done- perfect. I wanted one as I have hot flashes and want to be cool thru the night and protect my skin- Done. My daughter wanted one to be comfortable and keep from premature wrinkles - Done. Thank you once again. Helps not to have bed head. I have two pillows I use at night and both have satin pillow cases. I get warm at night and the soft, cool texture makes my face feel so good. So happy to have found the satin pillow covers. These are difficult to find out in retail. I was experiencing sleep lines when sleeping on cotton pillow covers. Well, I am happy to report----NO MORE SLEEP LINES!!!!!!!! Just love them and I would recommend them to anyone who is having a similar problem! Before this I had pillows "squirting out like peeled grapes" from the satin cases. Now I don't have to put the pillows back in during the night or even after a night of sleep. I don't have to tell anyone the benefits to the hair from sleeping on a satin pillow case! I do wish there were more color choices. I'd like to see vivid, deep colors in addition to the pastels. Would love black satin! Wake up to a great looking hairdo! At last a satin pillow case that does not cause the pillow to squirt out like squeezing a grape! This is my 2nd one from Walter Drake. My only complaint is that any rough place on my nails will pick the satin. I sleep on it and helps keep my hair in shape. It is very comfortable and I can't sleep on a normal pillowcase since I have been ordering the satin pillow cover! 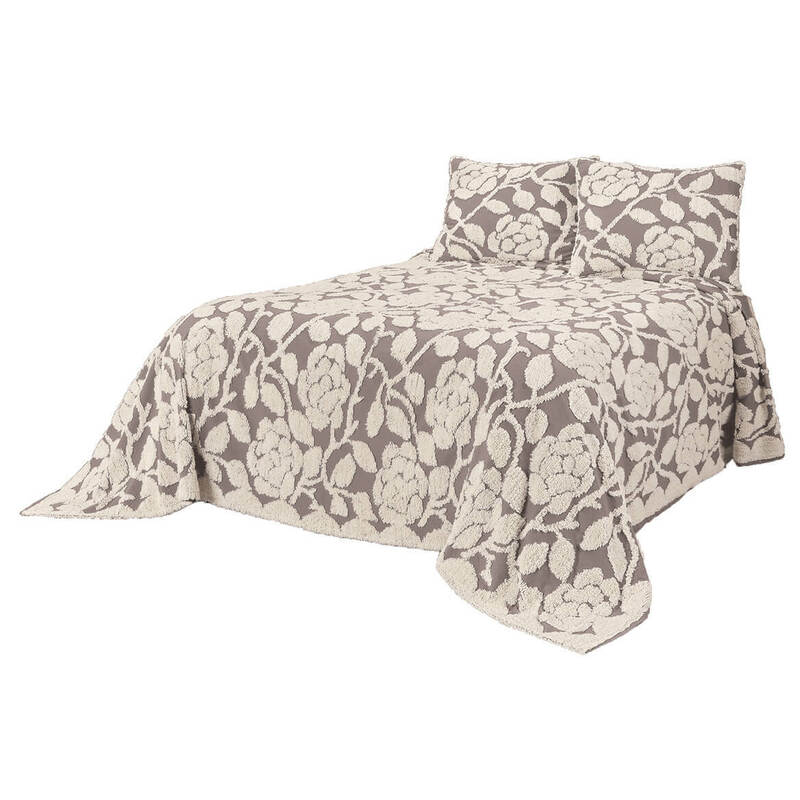 These pillow cases fit well and look great besides feeling good to sleep on. I was disappointed that the stitching went well into the zipper and had to be cut so I could open the zipper. This product should have been listed as a reject. I don't have time to repair items and have an expectation that what I purchase will function for a long time. I will have to sew the zipper properly in order for this to last. This pillow case fits a standard size pillow, not the longer pillows. The satin is nice and soft and washes good. Only problem I have is it slips on pillow when I turn my head, so going to sew some velco on opening, so pillow stays inside case. If you are concerned about your hair looking good and not drying out due to regular cotton pillowcases, you will really like this product. It fits the pillow size perfectly. Is very comfortable. I love the feel on my head. My mother used these for years and now I do as it keeps my hair style better than cotton pillowcases! I had purchased this pillow case in the past, so I knew exactly what I was getting. 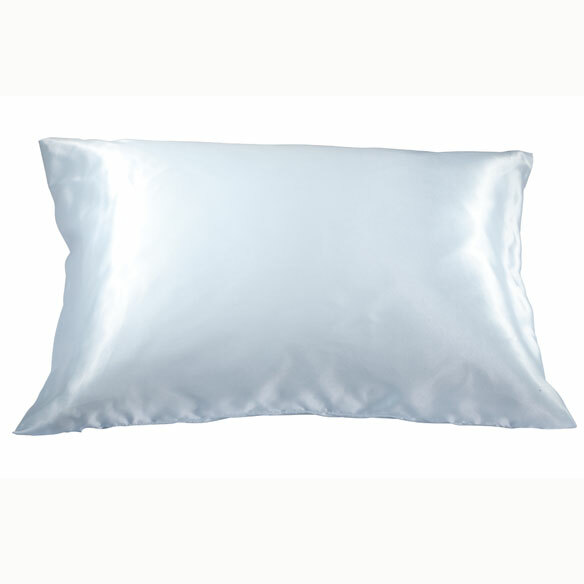 Satin pillow cases are great for preserving hairstyles and young skin, and they feel wonderful. These are the lowest priced ones I have found; however, they are not durable. I order several at one time, and for the price, I don't mind throwing them away when they tear up. A good buy. I bought a pink one and a blue one. Head glides on the pillow. Sleeps good! I bought 2 of these pillowcases. The fabric is a little sturdier than satin pillowcases I have had in the past and I feel they will probably last longer. I would use these often. I use this product every night. It is nice and soft and great for your hairstyle. It is a great pillowcase and comfortable!! I have used satin pillow cases for 15 to 20 years on a nightly basis. These compare to any that I have purchased before. I also gave several pillow cases for Christmas gifts. Satin pillowcases are a must for those of us who cannot wash [and restyle] our hair daily or who choose to go a few days in between washings. I purchased two of these to alternate with the satin case my sister had given me as a gift. The satin fabric does help immensely to keep one's hairstyle looking like new [neater, longer staying power of curl or wave, and not frizzy or mussed]. The only thing I wish were different is to have the zipper on the end of the case, rather than the middle-back of the case. My personal preference is to unzip the zipper, and stick my hand in the case when I sleep. With this particular style, I cannot do that. These pillowcase seams seem very frail, I'm really hoping these don't fall apart after the first washing. Put on pillowcase to keep from having to wash my hair every day & it works! I've bought probably a dozen of these. Initially, they came with the zipper at the end. My last order had the zipper in the center, which I do not prefer. The pillow is all out of shape until I get it inside. Everything else about it is fine. I like a cool pillow, and I think it maintains a coolness. People always say that this covering keeps the hair in place. I think there is less static electricity - thus the hair stays in place. I wanted to keep my hair from being an unruly mess in the morning. It works well for that. Added benefit is that while my cat insists on sleeping on my pillow, his hair does not stick any more. I use this product every day. 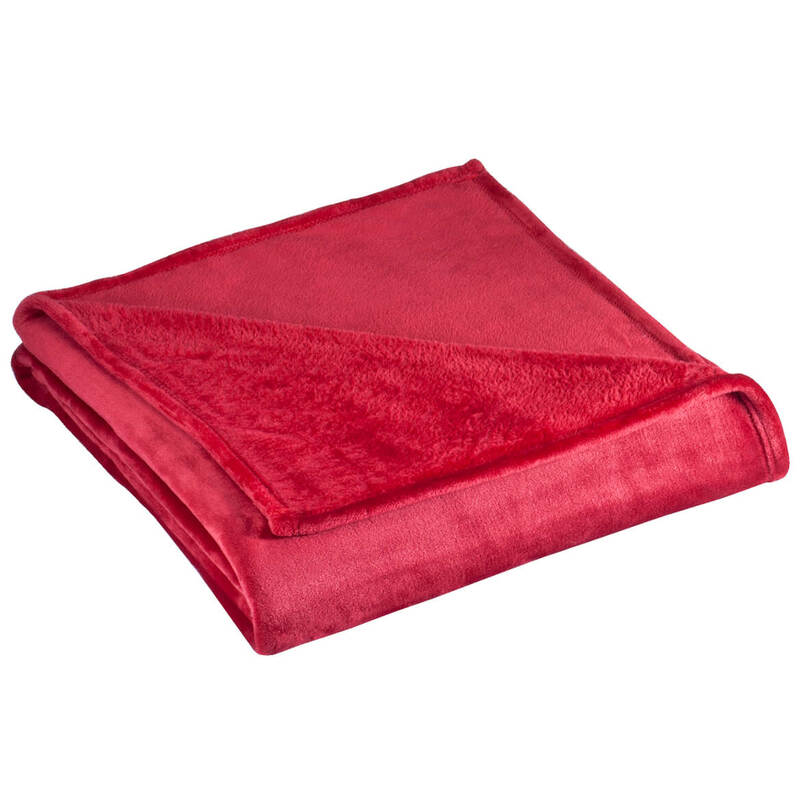 It feel good and easy to clean, easy to put on pillow. I thought it was a standard pillow case, to me it a pillow sham, with a zipper in the middle, I washed it to get the manufactured smell out. I will find a use for it. 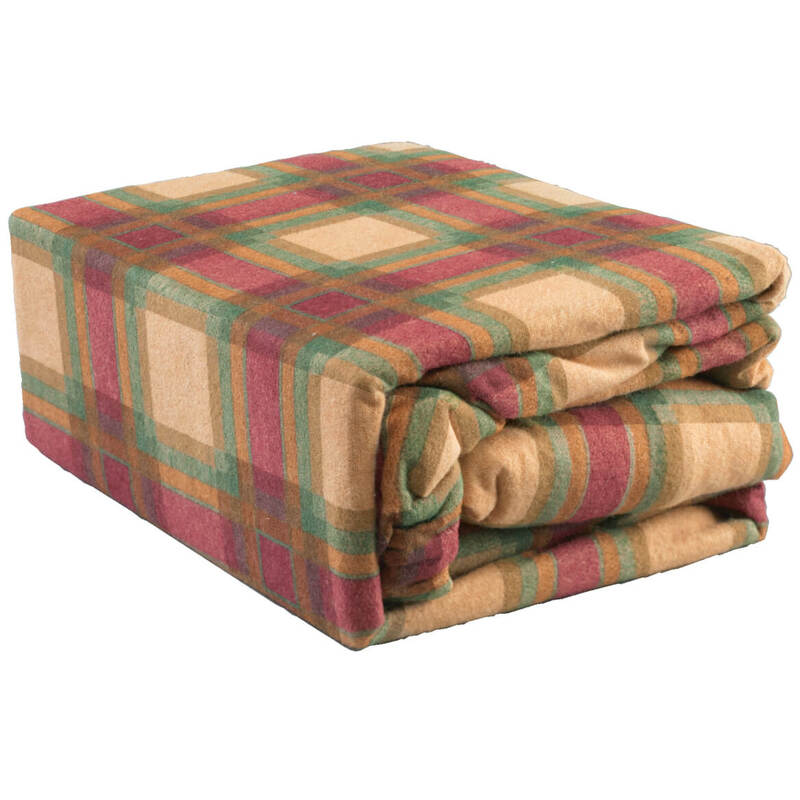 I thought I could use it on my everyday bed and it is not something I can use. Would I buy another? Probably not. It came as described. No major flaws. Two blue pillowcases torn at the seams. Love the pinks ones! DON'T KNOW IF THEY WEREN'T SEWED PROPERLY OR WHAT BUT 2 BLUE ONES TORE THE FIRST TIME THEY WERE USED. Pillowcase I ordered was "Satin" but the label on the item I received clearly says it is 100% Polyester. Quality of item is fine, for polyester, but I paid for a Satin pillowcase. I will not pay to ship it back since the cost of shipping is the same amount the pillowcase costs. It is too slippery, slides off the bed. Turned it inside out and it works much better. Still satiny, but not as slippery. I am very disappointed in the quality of my pink satin pillowcase. After being washed only once, the fabric showed threads pulled, and puckered places. I have short hair, with no clips, etc., and it was not washed with anything that would cause that. I continue to use it, but the fraying, etc., continues. The pillow cases are nice, but the zipper broke on the first use. Now instead of two, I'm only have one. Disappointed. The newer ones are not made as well as the ones I bought years ago. They use very cheap fabric now. Wanted to try a satin case. Seam gave away while putting case on pillow. Fortunately I bought two & were on sale. IS NOT MADE OF SATIN AT ALL. Everything I have gotten from Miles Kimball I have LOVED. Wonder why they say this pillow case is 100% satin? My tag has 100% polyester. I have bought your satin pillow cases several times before. The quality has really dropped off. These latest ones lasted 2 days on the pillows before the seems completely frayed away and the cases opened up on the side seams the full length of the case. Needless to say I am really disappointed at the very poor quality of fabric and workmanship. These pillowcases are very thin and after the first washing, they came undone at the seams. I had to stitch them back together. Very disappointed. very light weight satin these will not last long. one had a seam split on the first washing. Seams split first night on pillow This product is very bad. The pillowcase is fraying along the length. Have omly used it for a week and am afraid to wash it now. It may disintegrate. Advertised as "100% woven satin" but the tag says "100% polyester"! DO NOT BUY!! These were delivered first week in January, just 6 weeks ago. Have washed them on delicate, cold water, once a week since then. They are splitting at the seams and unraveling. I suppose they'd be okay for a guest room, but not for everyday use. used satin pillow cases for years and love them. I have had one before and as very satisfied with it!! My wife loves to sleep on Satin, her hair doesn't get so messed up. I ordered these in the past, they were well made. I got these to protect our pillows and it makes the regular pillow cases go on easier. Wife wants it! Nothing else counts! Makes my pillow cases slide on easier. My mom always used one to sleep on to keep fro getting a bed head. I have bought these often from you. They are very good. Keep my hair neat while asleep. Used these in the past and really like them. so my hair will not be so messy in the morning! I have used satin pillow cases for years. Love them. Use to make my own. I don't sew anymore. I have bought these before and really like them. I prefer the feel of satin over other fabrics. I want to try it. I have naturally curly hair and regular pillowcases break and frizz my hair. I’ve used this cover for years. I love it. My mom liked it. The pillow case washes well. I have one and like it so much I decided to get a couple more. 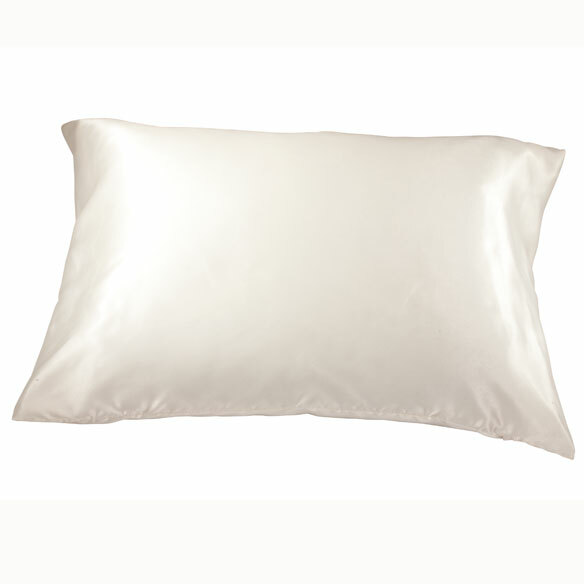 Satin pillow cases have been shown to help protect dry brittle hair from breaking. May also slow hair loss associated with chemotherapeutic treatments or immunosuppressant therapies. I love the silky covers ! To replace my worn pillow cases. Keeps my hair neat. 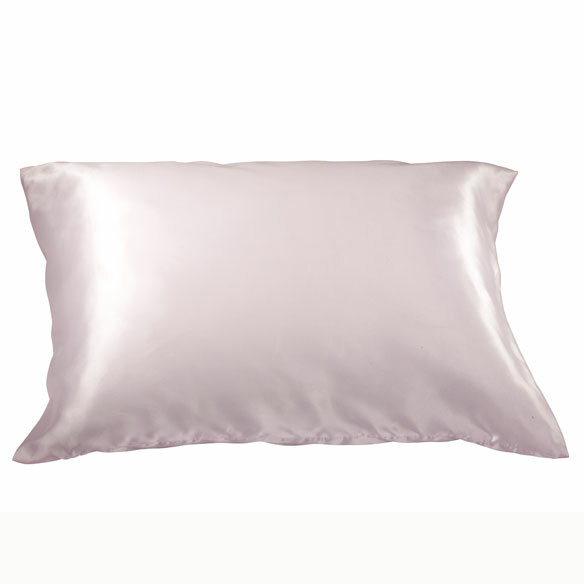 Love satin pillow covers, these are great!! I couldn't find in stores and queen size. We already bought 2 king pillowcases and just love them! This pillowcase will keep my face from 'wrinkling' during my sleep. Thank you! Couldnt find them any where else. hopefully will kept hair in place. do they require ironing after washing? BEST ANSWER: I didn't notice the need to iron it after washing. I washed it and gave it to my granddaughter as I didn't care for the material. It's advertised as being "smooth" but I felt it was slightly rough on my face. If you're looking for a truly smooth pillow case I would suggest buying a silk one. You might pay a few dollars more for silk but it is definitely worth it as silk is smooth on your face. A silk pillow case is also a great investment for your hair. It stays cooler and prevents frizzy hair and prevents your hair from "matting" to your head. Unfortunately in my case I would not recommend this or any "satin" pillow case. It depends how particular you are. I think they come from the dryer [low heat] looking fine. Years ago [I'm 70 years old] I ironed everything, including pillowcases. I've become less particular over the years about ironing, but I still want things to look smooth, not wrinkly. No Ironing----- I take from dryer and put on pillow. I purchased pillow case on advice of my Stylist. Satin is cool to sleep on. BUT saves the hair style. I have two cases and will buy more from this company . Price is just right. No, no ironing..I prefer the satin cases that have the zipper closing at the end of the case rather than half way up the back...if one flips it over, the zipper half way up the case can irritate the face. Thank you for your question. No, this item does not require ironing. We hope this information will be of help to you. These pillowcases do not require ironing after washing - they come out perfectly smooth from the dryer. These pillowcases do not need ironong. They come out of the dryer wrinkled. satin pillowcases do not have to be ironed. Take out of dryer immediately. No I just take them directly from the dryer and they look just fine. I wash mine on delicate cycle and hang dry, minimal wrinkles. No.They do not need ironing. They wash beautifully. I hang the case after washing. Outside if possible. No, these pillow cases come out wrinkle free. Wash and use dryer and no ironing required! NO I NEVER DO AND THEY LOOK FINE!!! No ironing and I really love them. is zipper covered by a flap or is it exposed? BEST ANSWER: It's exposed unfortunately. Doesn't feel very nice when you run into it since its metal/steel. Plastic zipper and tab are exposed. Is the zipper on the end or the back of pillowcase? IT'S ON THE END OF THE PILLOW CASE. Does the pillow case have a zipper? the pillow as you sleep. I have one that does not have a zipper, and do not like it nearly as well. Are these satin pillowcases made in China? BEST ANSWER: Thank you for your question. Yes. This is made in China. We hope this information will be of help to you.